Very sturdy design with large base for excellent stability. Efficient pump with brass piston. Viton (R) oil resistant seals. 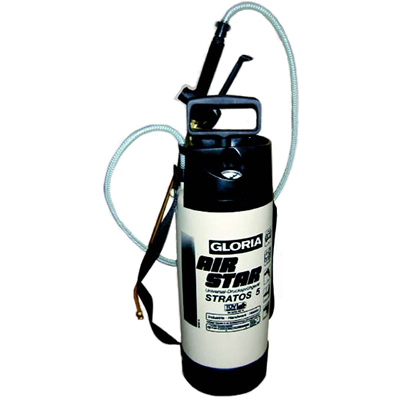 Optimal pressurised sprayer with 1l filling capacity, precision pump, safety valve, adjustable nozzle with swivelling nozzle head (particularly for reaching dead angles, e.g. in vehicles). 3 bar operating pressure; can be fitted with an 0.5 m extension hose.